For the second year running Jensen woodchippers have supported a charity fundraising activity which to date has raised over £40,000. Dorothy House, a charity which provides end of life care and support for patients with terminal illnesses across Wiltshire and North East Somerset, joined forces with Wiltshire College to operate a Christmas tree collection and recycling scheme. 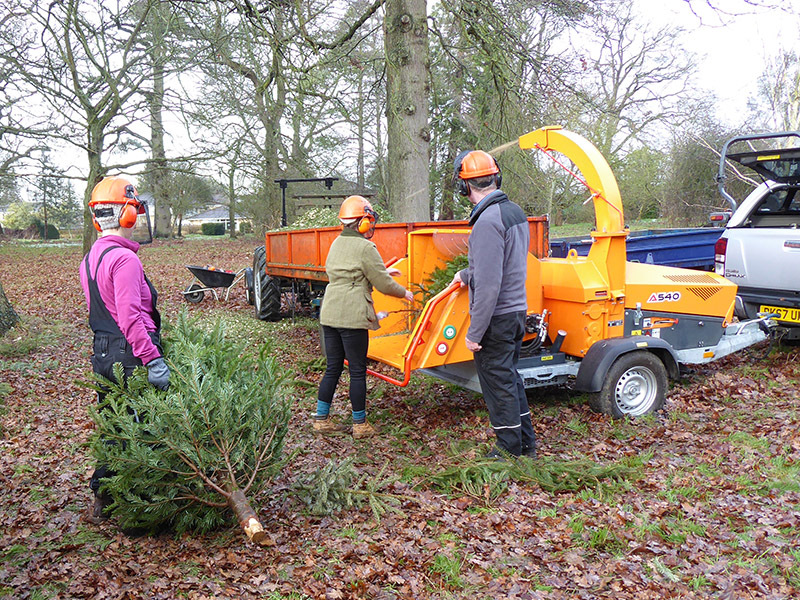 Volunteers collected more than 2,500 trees, 300 of which were delivered to the college’s Lackham campus where a Jensen A540 woodchipper was on hand to reduce them for recycling. With its powerful feed roller grip, wide hopper and 8-inch chipping capacity, the Jensen A440 made light work of even the bulkiest trees while students were able to learn safe techniques for chipper operation.